Get up to speed with Live 10 and stay ahead of the game. Learn every new power feature and how to use it in your music ASAP. This is your fast track to getting the most out of Live 10.
Who you learn from matters. Warp 10 was created by our team of Ableton Certified Trainers and Live experts. Each of our instructors is hand-picked from a pool of hundreds of applicants and thoroughly vetted by Ableton. Join us and learn right from the source. Sign up now. It only takes 2 minutes and you get instant access. Warp Academy is the leading collective of Ableton Certified Trainers and Live-focused experts worldwide. This is our jam and we’re amped to bring you the most passionate and knowledgeable teachers to unveil Live 10. The Warp 10 team brings together authors, course developers, sound designers, performers, producers, and even former employees of Ableton itself. You get to benefit from the diverse and incredible array of talent, perspectives, and experience with this all-star cast. This is the first time we’ve brought together so many experts to collaborate on one project. Come join Vespers, Jake Perrine, Ian Gallagher, Brian Funk / AfroDJMac, Merlyn Perez-Silva, Torsten Sven Rich-Wimmer, and Aaron Klingbeil as they introduce you to the most epic music making platform on the planet, Ableton Live 10. 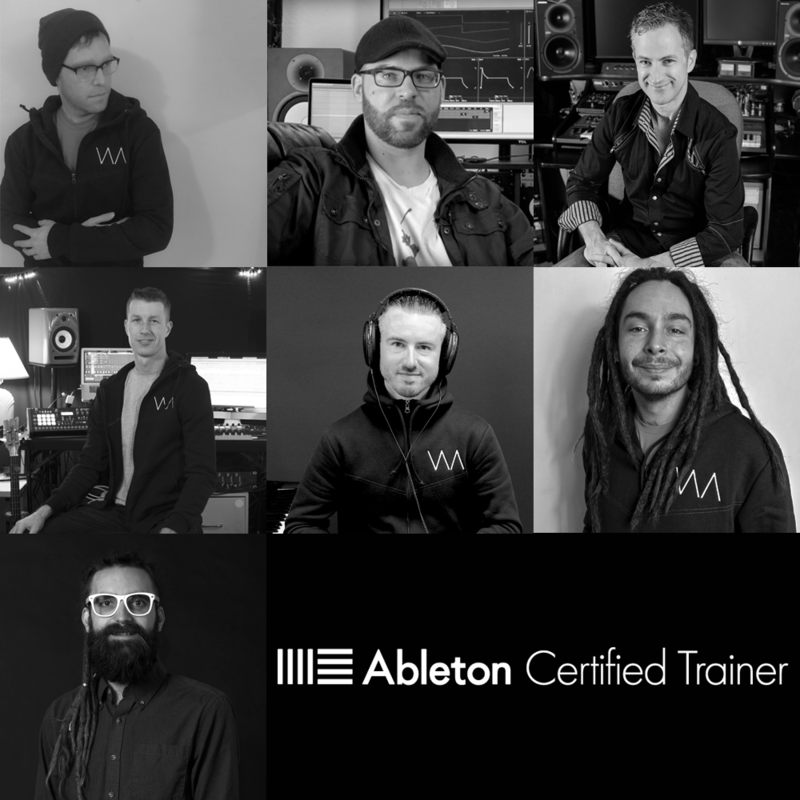 You get 17 action-packed lessons from our team of Ableton Certified Trainers and expert Live producers. 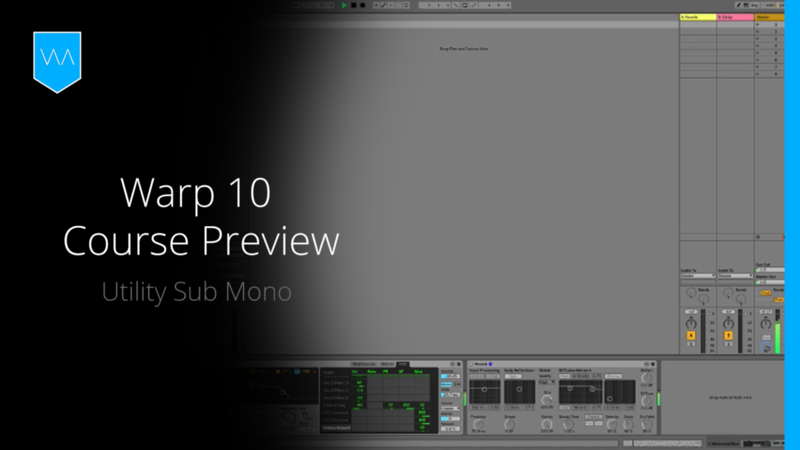 Learn the new interface, check out the fresh effects and instruments, and discover how to flex the new keyboard shortcuts and workflow upgrades. Everything about Live 10, all in one place, at your fingertips. Over the past 3 months we’ve been using our advance beta versions of Live 10 to build super-useful tools for you. 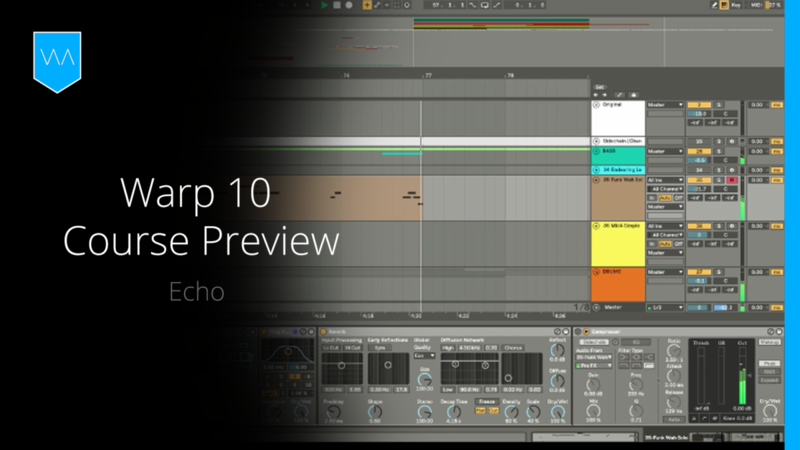 Ableton Live 10 project files, custom Racks and presets are all yours with Warp 10. Add fresh new goodies to your library and follow along with the video lessons. 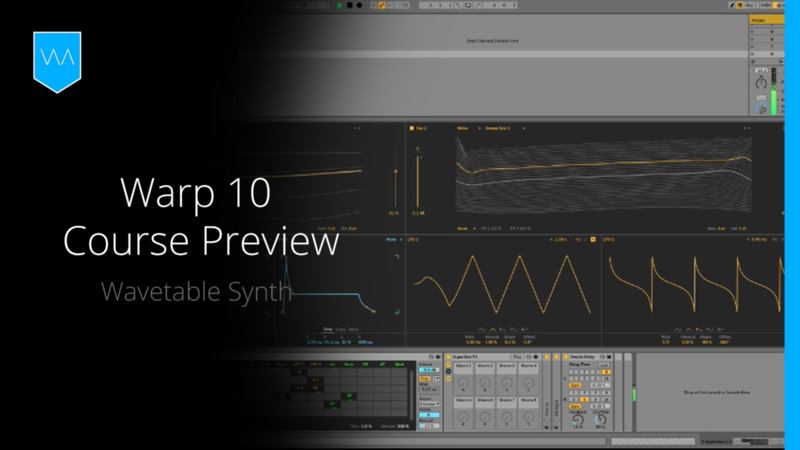 We built Warp 10 to get you up to speed on Ableton Live 10 if you’re upgrading or you’re considering making the switch from another DAW. It’s perfect for you if you already know the basics of music production or previous versions of Live, especially Live 9. If you’re completely new to music production, or you’ve never used Ableton Live before, check out our Ableton Live 9 Jumpstart course. We’re also developing a full, ground-up course on Ableton Live 10 that’ll be released in the spring of 2018. Stay tuned! This course is great for beginners all the way up to more advanced producers, as long as you know the basics of music production and are familiar with previous versions of Live. 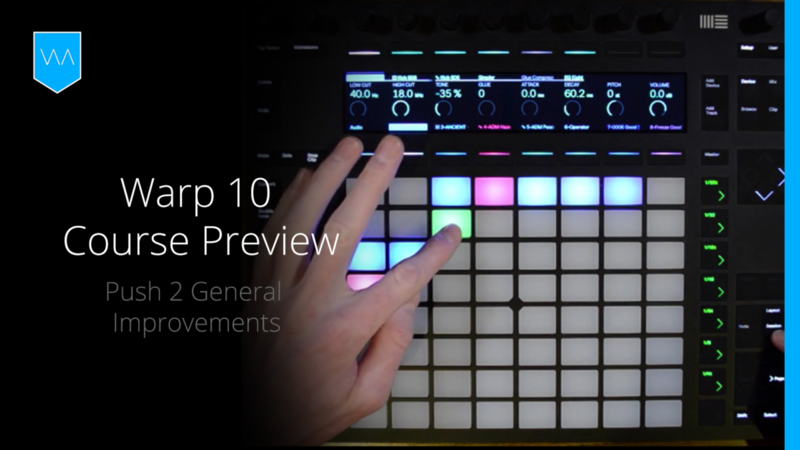 Warp 10 is about all the fresh additions and new features in Live 10, rather than teaching you everything from ground zero. What version of Ableton Live do I need? Ableton Live 10 or Ableton Suite 10. We got you. With Warp 10, you get lifetime access to the course. You can go through it entirely at your own pace with no rush. Yep, but just a few things. You’ll need a decently quick internet connection to stream HD videos, a modern computer capable of running Live 10, and we highly recommend a nice shot of espresso to keep you awake so you soak in all the amazing new features of Live 10. Our site is optimized for the Google Chrome browser. Oh, and if you want to hear things properly, make sure you use professional monitor speakers or reference headphones. Downloading things is so last century. Who has the hard drive space anyways? Join us in the cloud and stream what you need, on demand. All our videos are mobile-friendly too, so you can check them out on your phone or tablet.